Karl Barth: An Introductory Biography for Evangelicals (Eerdmans, September 28, 2017) 176 pages. Many books have been written to introduce Karl Barth the theologian, but not many to introduce Karl Barth the person. I’ve tried to do that here. Not many are aware of the great theologian’s courageous challenge to 19th century liberalism as well as against the fascism of Adolf Hitler. You’ll find those stories here, along with an explanation of some of his theology. It’s written for evangelicals in particular since (a) we have been so suspicious of him for decades, (b) he has became an influence among evangelical scholars, and (c) his theology has resources that can be used profitably by evangelicals pastors and leaders. 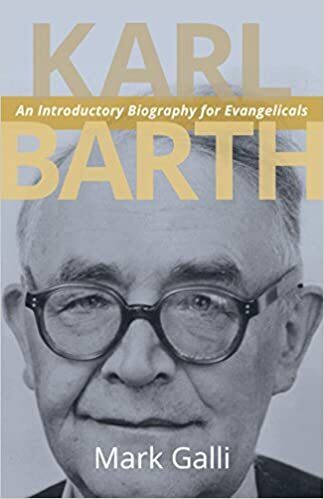 Barth is considered by many to be the greatest theologian of the 20th century, and I hope this little volume will help introduce him to a wider audience. 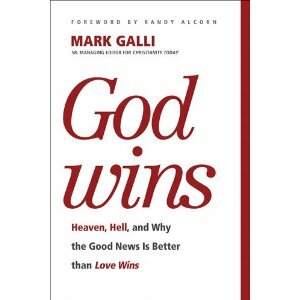 God Wins: Heaven, Hell, and Why the Good News is Better than Love Wins (Tyndale, July, 2011). I just finished reading “A Great and Terrible Love” and thought it was great, very enlightening. 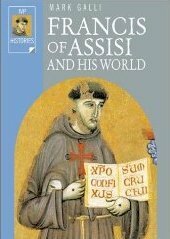 Over the years I have read many different works from various disciplines. I learned in business how some of the most important information to me is what the competitors think about my weaknesses. So, I do not allow my insecurities to dissuade learning how others think and view their reason for existing. I grew up Methodist and then, in my 20’s, discovered the word of faith, I thought it was great. Later I noticed problems seemed to be ignored and folks were unwilling to discuss them. Went over to Charismatic, attended an AG church for several years and even taught there, they wore me out talking about the devil and it seemed he was behind every door. All of them were great people and many longtime friends resulted. I recently published two books. The first one started as a blog for my family. When I decided to convert it into a book it was a lot of work. The second one is shorter and I actually intended to make it a book from the start so the process was smoother and not as labor intensive. The first one is about a change of perspective, Jesus made a comment about man needing “eyes to see and ears to hear.” I look for simplicity and obvious places for answers to “hide.” His comment reveals another perspective, nothing else. This perspective is one of the spirit man. We have failed to see the depth of our identity as spirit, soul and body. Jesus lived a life which in many ways was an example, He was the Pioneer of our wholeness. I am saying He knew He was spirit first and foremost. This new perspective usually does not change doctrine but it does change why we do things in life and how we see ourselves. I have found a stability and closeness to he Lord I had only hoped to attain, for years. It has stabilized my thoughts as well, I know I am secure. He gets all the credit. Thanks for writing God Wins. A good defense for the true Gospel! 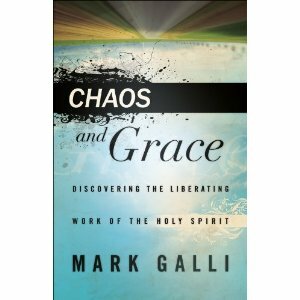 I would like to ask if you would kindly clarify what you mean by “The Spirit is the very energy and activity of divine love both to us and in us.” (p.140)? Do you not believe the Holy Spirit is the Third Person of the Trinity?? Timothy, Thanks for the kind words. To clarify: I certainly do believe that the Holy Spirit is the third person of the Trinity. That sentence might better read, “One way to understand the work of the Holy Spirit is as the very energy and activity of divine love to us and in us.” It’s only because the Holy Spirit is a personal that he can fill us with love–love as energy, as desire, as action. For love is a person first; these other things are derivative. Does that help? So nice to stumble upon your blog. I look forward to visiting every now and then. 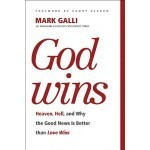 The following are reflections sparked by Stan Guthrie’s review of your book in Books and Culture: http://blog.beliefnet.com/fellowshipofsaintsandsinners/2012/02/in-defense-of-rob-bells-love-wins.html. I look forward to adding your book to my reading list. Kristina, Thanks. Love the title of your blog. That’s why there is so much confusion in the church, because we’re both saint and sinner at the same time! It takes me a while to get to reading the magazines I subscribe to and I finally read your article “A Most Personal Touch” in the February issue of Christianity Today. As a special education teacher working with a very small group of students with low-incidence disabilities, it is easy for me to feel as though I am not having enough of an impact in the world. I have one of the smallest caseloads in our large school corporation and I get some flack for it from time to time. However, I also work with some of the most unique students in the district, kids that would have easily fallen through the cracks without more individual attention. When I was in college, I did NOT dream of the work I am currently doing. In fact, if anyone would have told me then what I would end up doing, I would have laughed at them and made some remark about not wanting to be next “Annie Sullivan” to someone’s “Helen Keller”. Although I entered into this particular branch of teaching with a great deal of trepidation, I have to say that I LOVE it now! 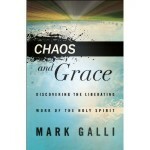 And I believe that it is not by coincidence that I, a Christian, ended up working with my particular group of students. God had it in mind all the time. I may be the furthest thing from the “Billy Graham” of special education, but it is such a privilege to pour out God’s love on some of the neediest kids in my school district. Thank you for your article which gives me permission to enjoy what I do instead of feeling like I ought to be having a larger impact. By virtue of the fact that I work with a small number of students, I am having a huge and necessary impact on those students, an impact that would not have been achieved by someone unavailable to meet their unique needs. I am so blessed! Thank you again for your article. What an encouragement!! Thanks for the kind words, and the encouragement of your own!